Learn how to make the move from the hospital to home easier. 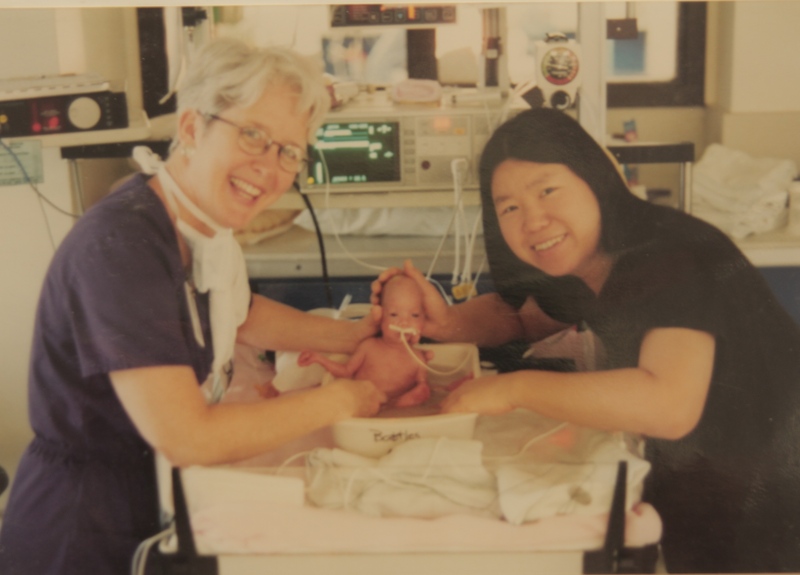 Leaving the neonatal intensive care unit (NICU) with your baby is joyful, emotional and exhausting, especially if you have other small children at home. You might be anxious about leaving a place where you knew your baby was watched very carefully and where there were plenty of skilled nurses and doctors to take care of him. You may have to arrange for medical equipment to help your new baby at home. How will you manage? Download this checklist (PDF) to help you get ready for your baby to come home. It covers things to learn, items to have at home, how to choose a pediatrician, things to talk to your doctor about, what to tell family and friends and other tips. Two items will not apply to you. They mention contacts or programs that are for the Lucile Packard Children’s Hospital in California (car seat check and follow-up programs). All the other items will be helpful to you. Connect with other families online through the March of Dimes. You can read other parents’ blogs, join a discussion, or post a question. Home after the NICU, also from March of Dimes, gives you an overview of what to do and tips for when you need to call the doctor. This page has links to many other useful topics, such as feeding your baby, dealing with medications, how to handle visitors, and more. Download the NICU Parent Handbook (PDF), developed by Cook Children’s Medical Center in Fort Worth, Texas. It has a lot of good information, including how to read your baby’s cues, growth milestones starting at less than 26 weeks, feeding, siblings, and baby care at home. NICU Resources from Texas Parent to Parent offers links to information to help families make informed decisions about their preemies’ treatment and care. Several of these resources focus on caring for the premature baby at home. Many of the publications are available in English and Spanish. You will also find a statewide and national resource list covering services, internet support and information, insurance and health coverage, and the Medicaid Waiver Program.